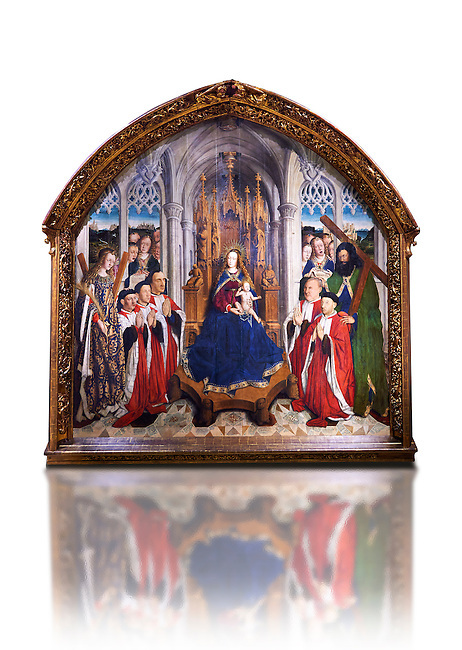 Gothic painted Panel Virgin of the "Consellers" by Lluis Dalmau. Tempera and gold leaf on wood. Date 1443-1445. Dimesions 316 x 312.5 x 32.5 cm. From the altar of the chapel of Barcelona City Hall.